JU Public Policy Institute Director Rick Mullaney welcomes the crowd at the first round of debates at Terry Concert Hall. The Public Policy Institute and WJXT Channel 4, The Local Station, will co-host debates (#JUdebates) Aug. 16-18 among candidates for State Attorney for the Fourth Judicial Circuit, U.S. Representative for Florida Congressional District 4 and U.S. Representative for Congressional District 5. 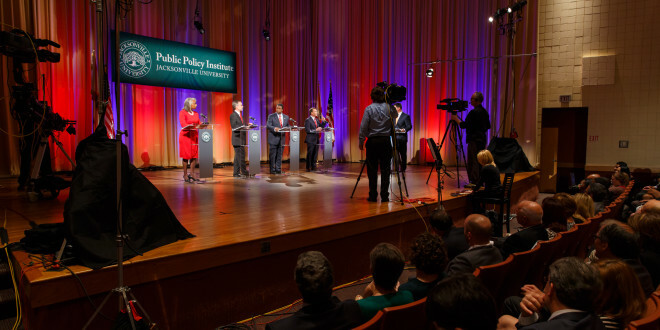 The debates in the 400-seat Swisher Theater will give voters a chance to see how candidates in each of the hotly contested races differ on important issues, said Rick Mullaney, director of the Public Policy Institute. They’ll also be able to witness pivotal conversations in high-profile races. In addition, only three people have served in Congressional District 4, a seat that became open after U.S. Rep. Ander Crenshaw announced his retirement. Meanwhile, Congressional District 5 has been redrawn, and incumbent U.S. Rep. Corrine Brown, who has served for more than two decades, faces a serious challenge. “It is very rare for any of these races to be contested. To have all three contested in one year is unprecedented,” Mullaney said. 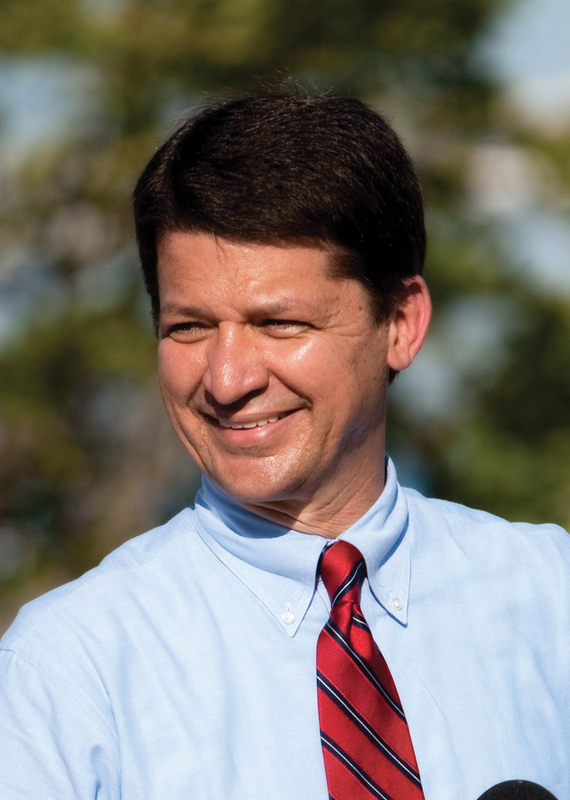 News4JAX anchor Kent Justice will moderate the events focusing on key issues facing the community. Justice also moderated debates at JU last year for Jacksonville’s mayor and sheriff. In the State Attorney Fourth Judicial Circuit Republican primary, incumbent Angela Corey will debate challengers Melissa Nelson and Wes White at 8 p.m. Tuesday, Aug. 16. The Congressional District 4 Republican primary candidates will debate at 8 p.m. Wednesday, Aug. 17, and the Congressional District 5 Democratic primary candidates will debate at 8 p.m. Thursday, Aug. 18. Brown and challengers Al Lawson and LaShonda “L.J.” Holloway are all scheduled to appear at the Aug. 18 District 5 debate. Among the seven District 4 candidates, those polling at least 3 percent support in opinion polls will take part in the Aug. 17 debate. In the latest University of North Florida poll released Aug. 9, former Jacksonville Sheriff John Rutherford, former St. Johns River Water Management District Director Hans Tanzler III, state Rep. Lake Ray and St. Johns County Commissioner Bill McClure meet the threshold. The Aug. 17 and 18 debates will be aired live on WJXT Channel 4, and will stream live on WJXT’s website at http://www.news4jax.com. The Aug. 16 debate will stream live on WJXT’s website. Mullaney said the debates offer voters a close-up view as they decide who will take on crucial leadership roles in the region. Tickets to the debates will be given to the campaigns to distribute as they choose, Mullaney said. JU was a finalist to host a 2016 Presidential debate, and Mullaney said the University is becoming a central non-partisan gathering place for public policy discussions.